Forbes – As Hassan Rouhani commences his second term as president, the West must realize that he is not and has never been an agent of change in Iran. In the run-up to his election, Rouhani routinely invoked “violence and extremism” in his campaign rhetoric to bolster opposition to his leading opponent, Ebrahim Raisi, in the ongoing roleplay where the incumbent represents a more moderate approach than his acknowledged hardline alternative. 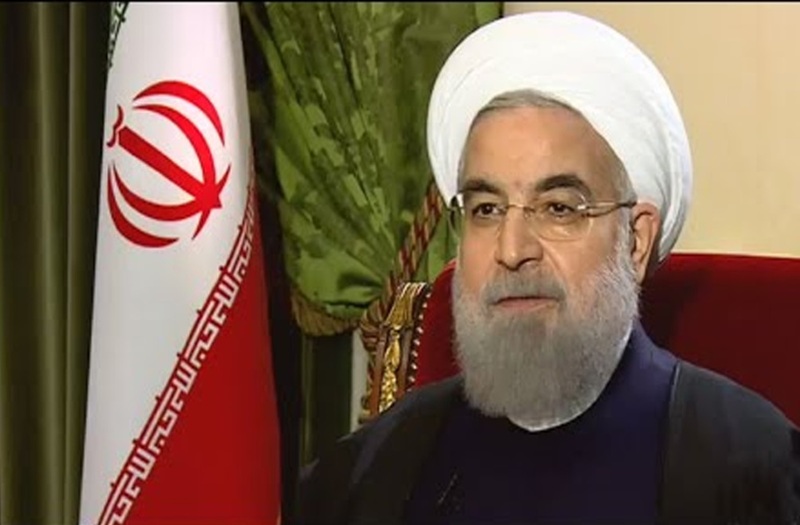 This despite the fact that Rouhani had already demonstrated during his first term that he had no intention of challenging the violence and extremism of the clerical regime. Many Iranians boycotted the presidential election to draw international attention to the fundamental lack of choice in a system where even self-described moderates like Rouhani are vetted by unelected clerics and judiciary officials based on their loyalty to the Supreme Leader and the ruling theocracy. The Iranian people have always recognized Rouhani as a veteran regime insider who was a senior security official during the systematic execution of 30,000 political prisoners in the summer of 1988, many of whom were supporters of the main opposition Mujahedin-e Khalq (MEK). In 2015, the five permanent members of the UN Security Council plus Germany brokered a deal with the Iranian regime, imposing restrictions on the Iranian regime’s nuclear program in exchange for tens of billions of dollars in sanctions relief. The agreement has rightly been criticized for offering too many concessions to Iran’s ruling theocracy, while effectively abandoning the original goal of definitively halting permanently the mullahs’ march to nuclear weapons. This approach by the previous administration was prompted in large part by the expectation that Iranian behavior and U.S.-Iran relations would improve under Rouhani’s presidency. Wrong, it was a gross miscalculation. It didn’t and they didn’t. Tehran’s anti-Western rhetoric has intensified, backed up by illicit ballistic missile tests and public declarations of readiness for war by officers of the Iranian military and the Islamic Revolutionary Guard Corps (IRGC). IRGC military and financial support for the murderous Assad regime has continued, as has its arming and funding of the terrorist group Hezbollah in Lebanon. And in Iraq, the regime in Tehran wield more influence than the United States, despite all the blood and treasure we have invested in that country since 2003. At home, dual nationals have been nabbed and put behind bars for use as bargaining chips. They join thousands of Iranians incarcerated on political charges and subjected to torture during interrogation. Executions take place en masse and with little warning, while other prisoners risk death from abuse and the absence of basic medical care and sanitation. Not only did the Rouhani administration implement these abuses, it also oversaw a spike in death sentences. More than 3,000 people were executed during his first term in office, including political prisoners, women and juveniles. Less than a week before the election, Supreme Leader Ali Khamenei issued a statement practically begging Iranians to vote regardless of their political views. But by phrasing his call in terms of “maintaining the regime’s authority,” he effectively added to the incentive for a boycott by all those rejecting that authority. Contrary to the usual regime propaganda about large voter turnout, Iranians stayed away, rejecting choice between the white and the black turban. In doing so, they expressed more than just general frustration with a political system in which both factions act against the interests of the people. They also exhibited support for the alternatives to those factions – alternatives that have enough social capital and public support to organize a boycott, yet are barred from participating in elections or, in many cases, from even speaking publicly about their secular, democratic platforms. Support for opposition organizations like the National Council of Resistance of Iran (NCRI) and the MEK seems to be on the rise. For example, I and many of my colleagues on both sides of the aisle attended an international convention in Paris, which drew tens of thousands of Iranian expatriates and their supporters. Even though support for the MEK can be punished with a death sentence inside Iran (as was the case in the brutal massacre of 1988), the willingness to take such a risk should tell us something about how limited the options are for regime-sanctioned political expression.